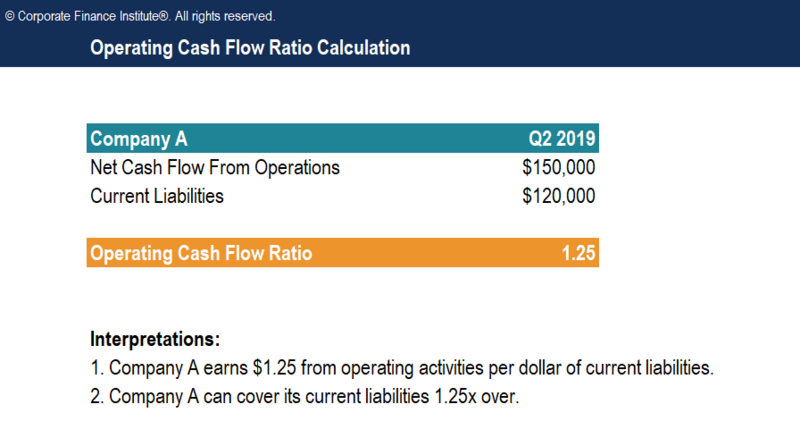 This Operating Cash Flow Ratio template will show you how to calculate the operating cash flow ratio, deriving from the formula: operating cash flow divided by current liabilities. The operating cash flow ratio measures a company’s short-term liquidity. If the ratio is less than 1, the company generated less cash from operations than needed to pay off its short-term liabilities. This signals short-term problems and a need for more capital. A higher ratio – greater than 1.0 – is preferred by investors, creditors, and analysts, as it means a company can cover its current short-term liabilities and still have earnings left over. Companies with a high or increasing operating cash flow ratio are generally considered to be in good financial health.